Hereby I proudly present my e-book: How to Raise Children Bilingually: an E-Book on Bilingual Education. Growing up bilingually and mastering various languages from the start is a tremendous gift for children. But how do you successfuly raise children bilingually? What are strategies for a multi-lingual education? 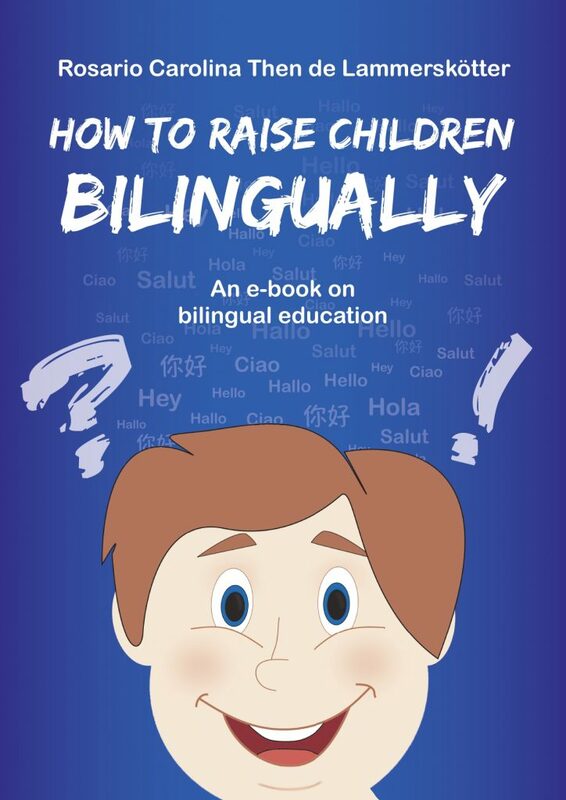 This precise guide looks at the advantages and challenges of growing up in more than one language, and gives many useful tips and strategies for parents who are considering giving their child a bilingual education. If you want to inform yourself about bilingual education, this is a great starting point. This book is based on my experiences, having raised the children of my family in German, Spanish and English. So you get both a look at the scientific background of language development from a bilingual perspective as well as personal insights. Written in a a compact and clear style, this empowering e-book is easy to read and very informative to parents who want to gift their children a bilingual education! Can I educate my child bilingually? Do I want to educate my child bilingually? And if so, how do I educate my child bilingually? Above all, the e-book: How to Raise Children Bilingually: an E-Book on Bilingual Education encourage all readers to venture the fantastic and enriching journey of multilingual education – our children will forever thank us! I appreciate any form of constructive feedback and wish all readers a lot of fun and hopefully valuable hints.